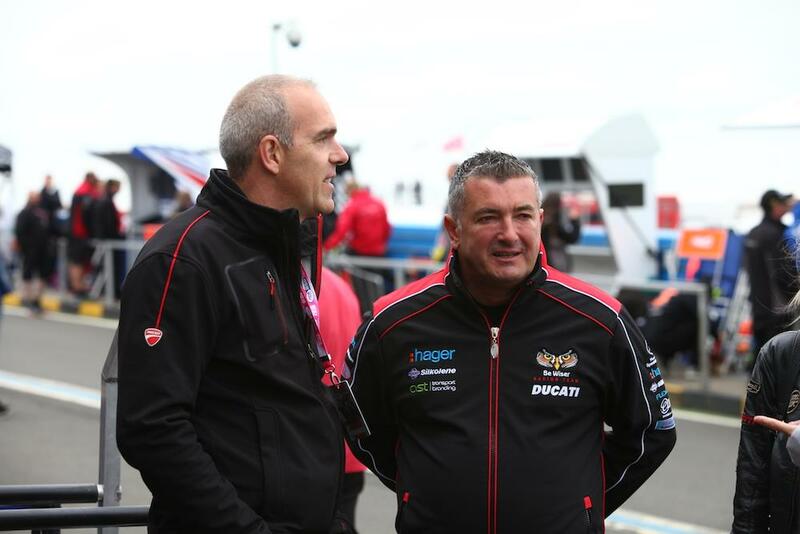 Paul Bird has strenuously denied rumours he is courting World Superbike star Davide Giugliano to join his Be Wiser Ducati British Superbike team next year. The Penrith-based team are set to confirm their plans for the 2017 MCE British Superbike Championship tomorrow, but team owner Bird has confirmed to MCN that the Italian will not feature in the squad in any way. It is believed Ducati Corse did approach Bird about running Giugliano in BSB, but the Cumbrian opted against the somewhat risky strategy of bringing in a racer that has little knowledge of British circuits. How the hell do you... Become a MotoGP snapper? After losing his seat with the Aruba Ducati team, MCN understand Giugliano is out of offers to run in World Superbikes next season with his only options to remain on the world stage believed to be in the Superstock class. Keen not to take a step back, Giugliano is seriously considering a future in Britain. Should he make the jump to BSB, it is expected he will join the Tyco BMW team but is also rumoured to be in talks with Suzuki. To get the lowdown on the PBM team’s plans for 2017, pick up tomorrow’s MCN!